UPDATE: this event has been cancelled by the organisers. 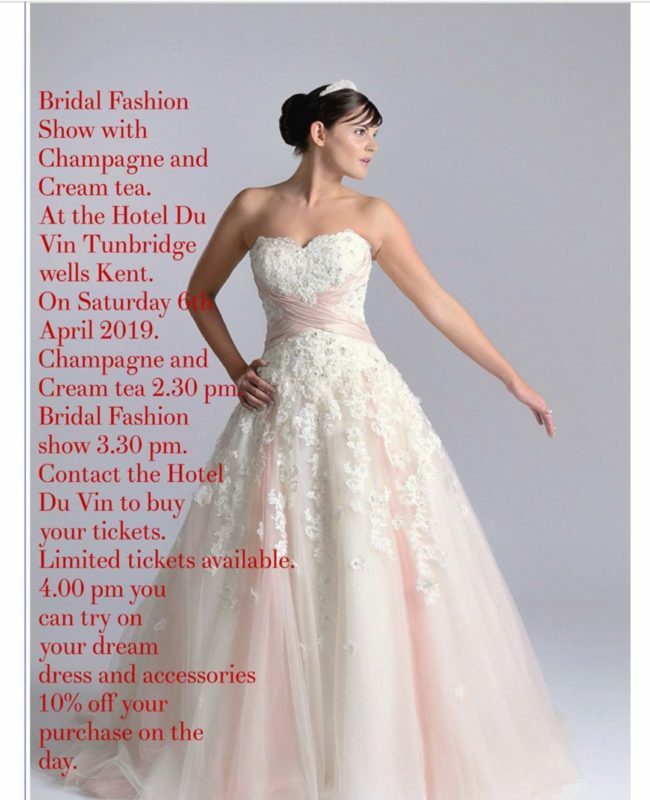 Victoria will be performing at the Bridal fashion show at the Hotel Du Vin, Tunbridge Wells on Sat 6th April 2019. Events start with champagne and cream tea at 2:30pm; the fashion show begins at 3:30pm. Try on your dream dress at 4pm; buy with a 10% discount on the day!